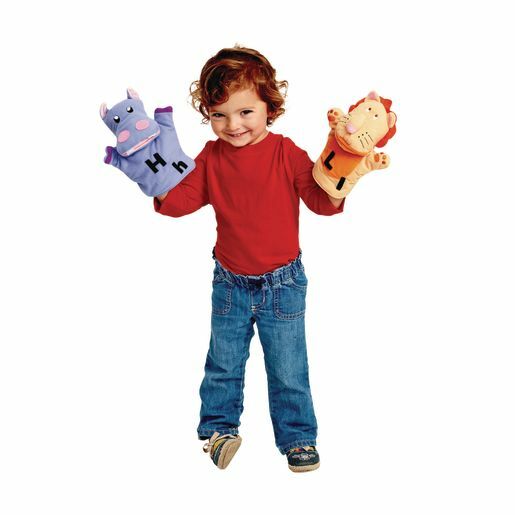 Bring excitement and whimsy to language development with our exclusive big-mouth puppet pals. 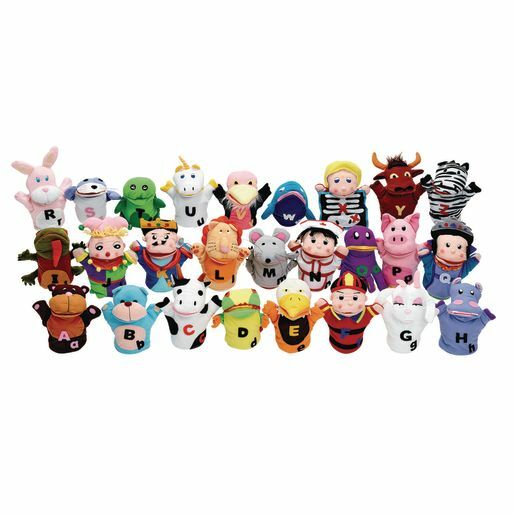 Each of the 26 puppets - from the adorable ape to the zany zebra - is designed with incredible detail. 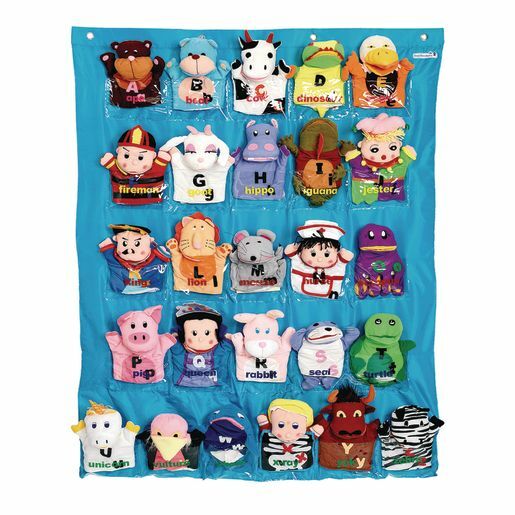 Puppets feature an uppercase and lowercase letter on their fronts and come with a hanging nylon/plastic organizer with each puppet's name printed on a pocket. 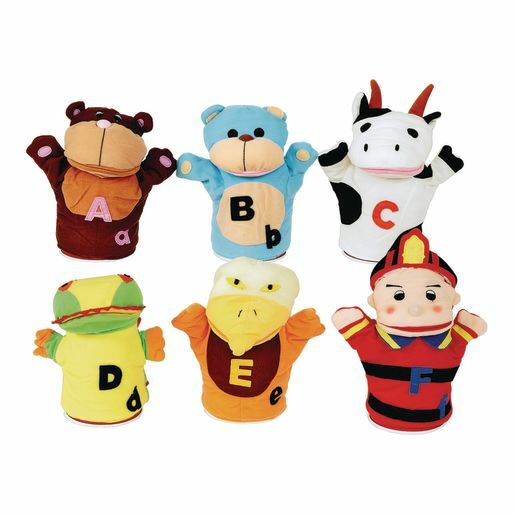 Puppets measure approximately 5-1/2"W x 8"H and are made of machine washable hook-and-loop-receptive fabric. LAN (P) Show awareness of beginning sounds in words. LAN (P) Begin to associate letters with sounds.